Another phase of near-continuous strong explosions has started a few hours ago after being calmer most of the past night. 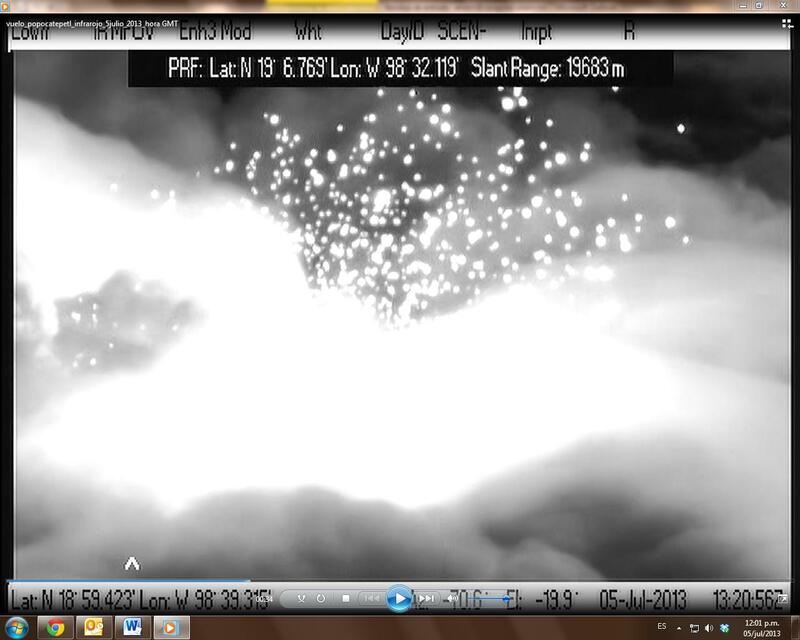 Yesterday morning CENAPRED staff made an overflight over the volcano and took some infrared images which showed continuous emission of ash and incandescent fragments. The ash column reached just over 2 km height and incandescent bombs were observed at altitudes above 1 km and being deposited almost on all sides of the volcano at distances of up to 1.5 km.  Due to weather conditions the volcano can be observed only for small lapses.